Above: With my parents, Christos and Katina, and my sister, Katina. The photograph was taken during my visit to Greece in 1977. 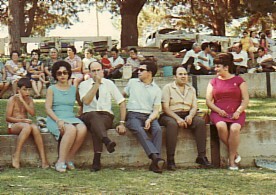 Above Right: Celebrating Christmas (1969) at Narrandra. 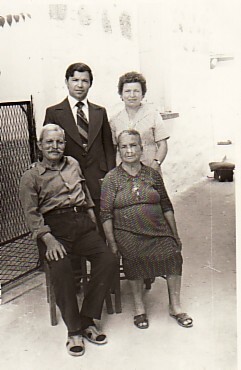 In am in the middle; the couple on the left is Froso and Panagiotis Koumanias, while the couple on the right is Christos and Evanthia Giannakas. 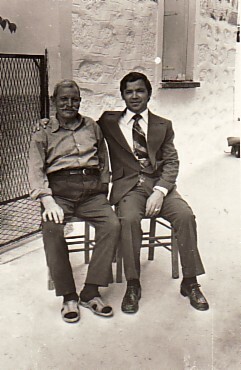 Above: With my father, Christos. 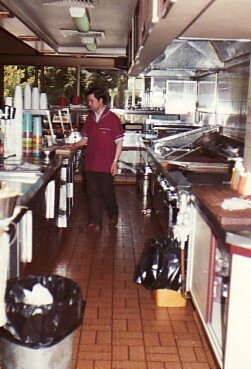 Above Right: In the kitchen of the Radnor Milk Bar, which my brother, Georgios, and I owned from the late 1970's to the early 1980's. Above: In Sydney, and taking out my sister, Maritsa- who is visiting Australia. 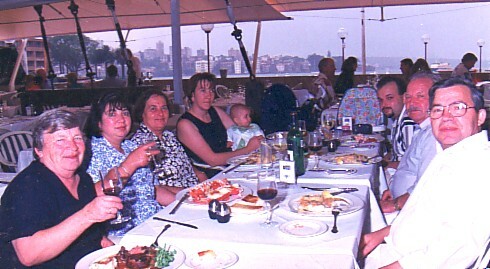 L-R: Maritsa and her daughter, Maria; Konstantina and Janine (Fotios' wife); my nephew, Fotios; my brother, Georgios; and me.